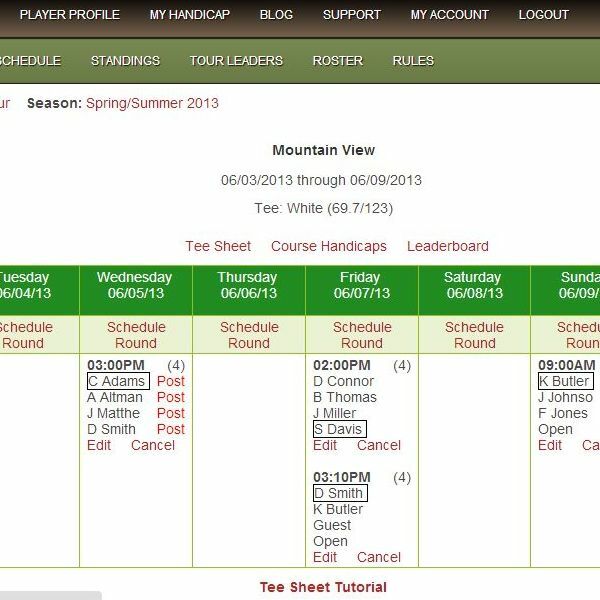 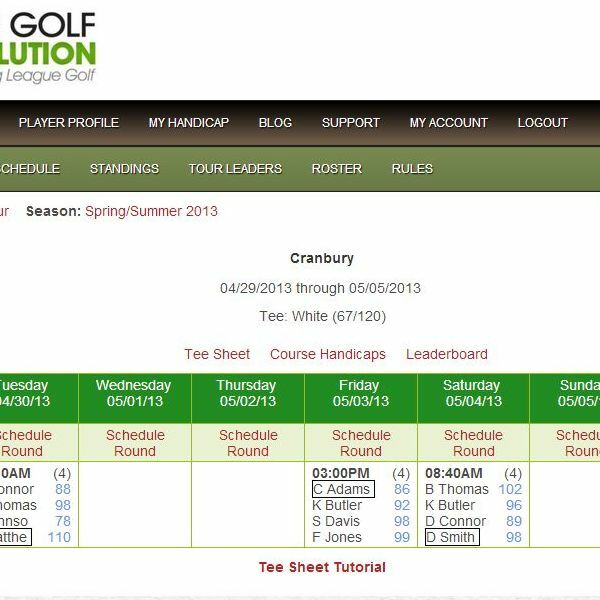 As you might imagine, when you first set up your league and set your schedule all you really have to look at are your schedule, your tee sheet and your handicap. 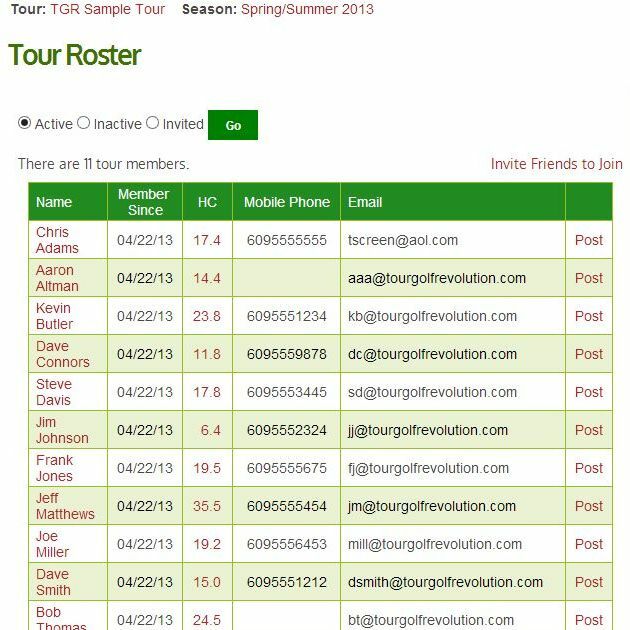 The video and screen shots below will give you an idea of some of the great things you'll have access to when your tour really gets going on Tour Golf Revolution. 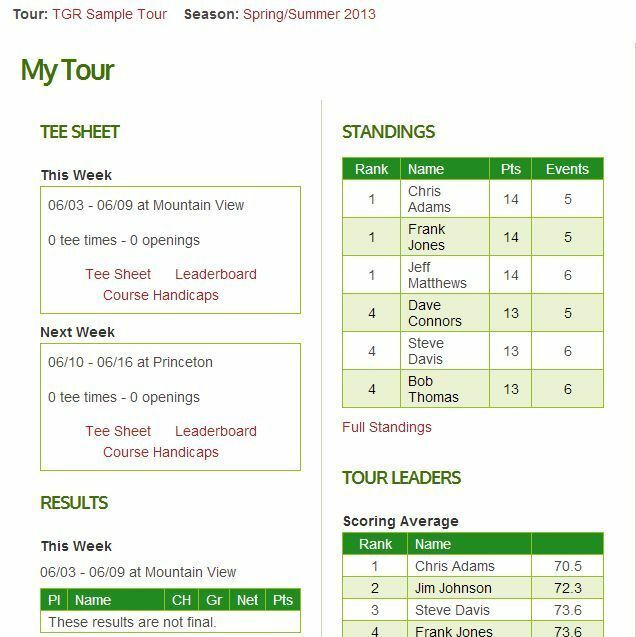 The tee sheet drives all tour scheduling and scoring. 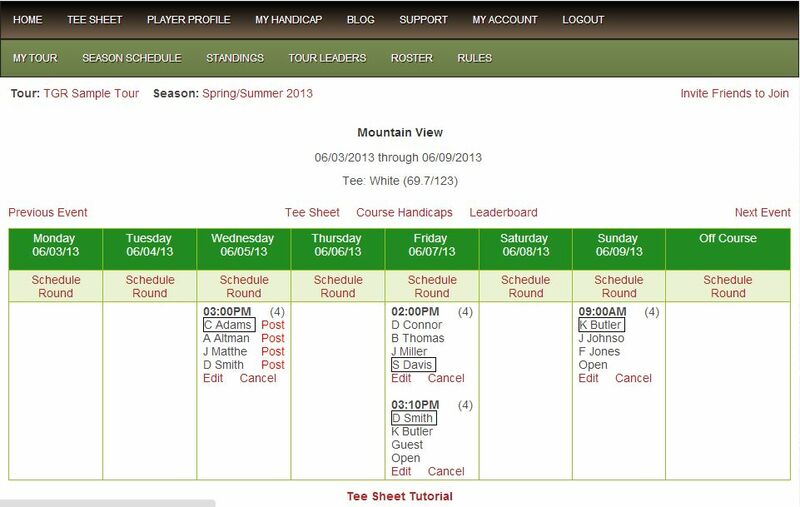 You can watch a video that shows what you'll see and how to use it by clicking below. 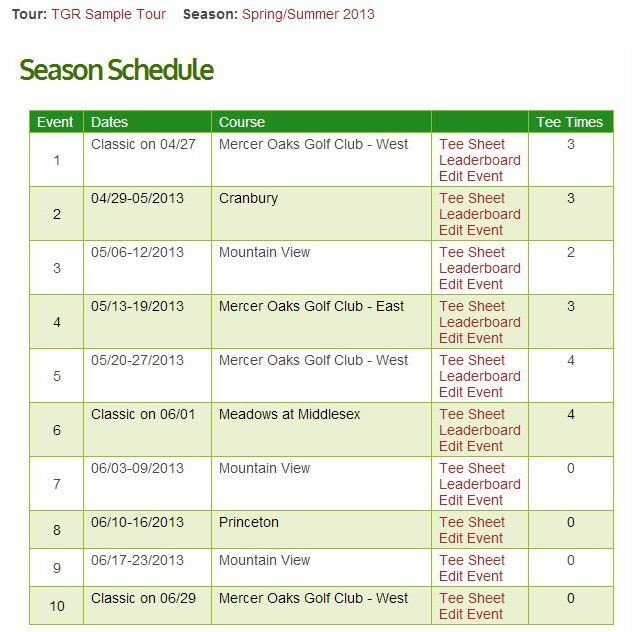 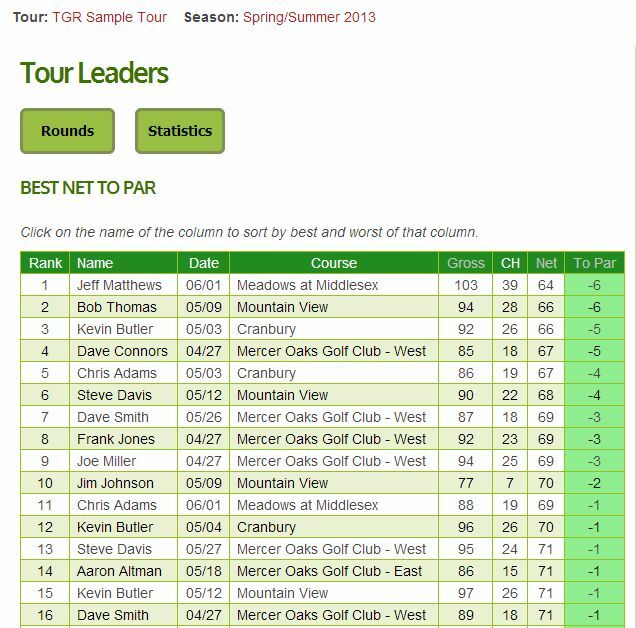 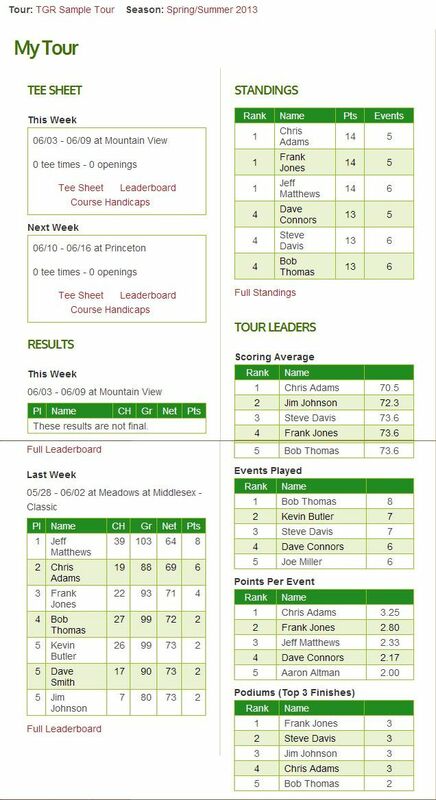 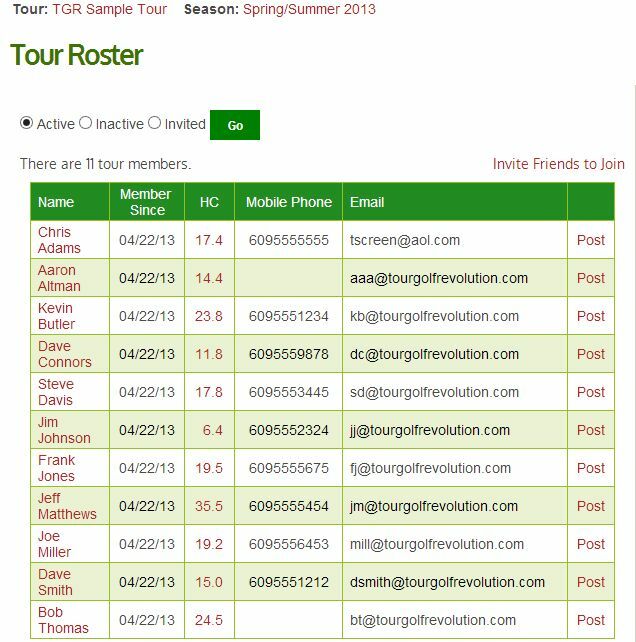 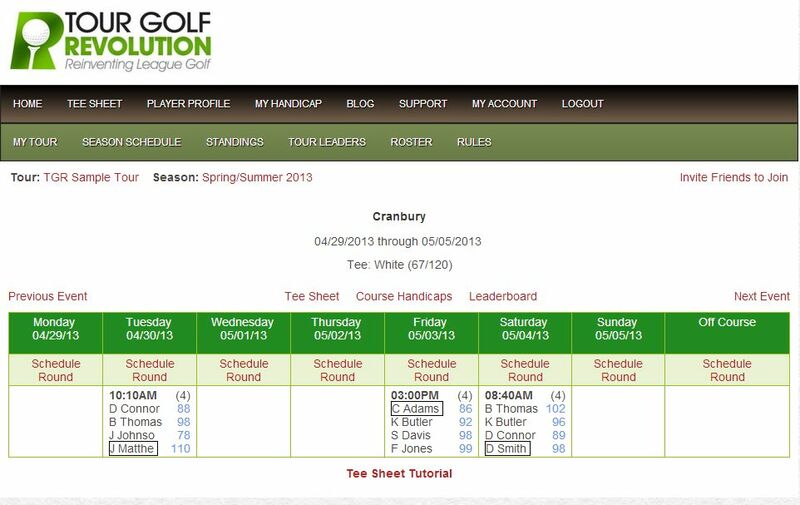 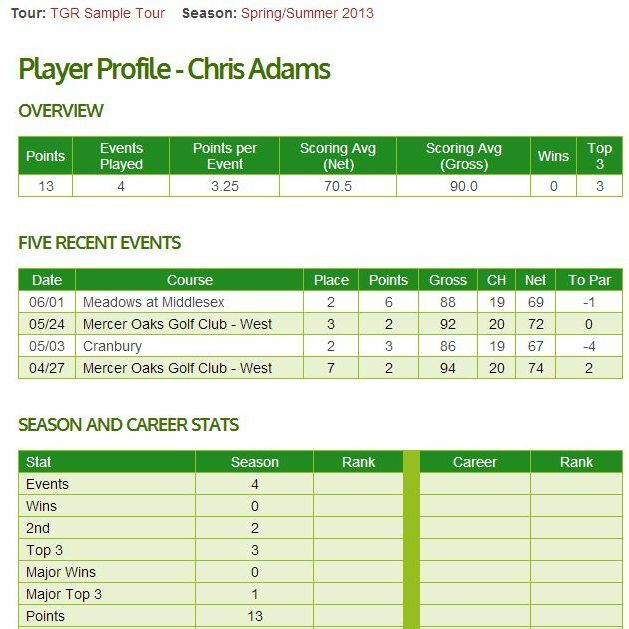 As your season unfolds Tour Golf Revolution keeps track of everything for you. 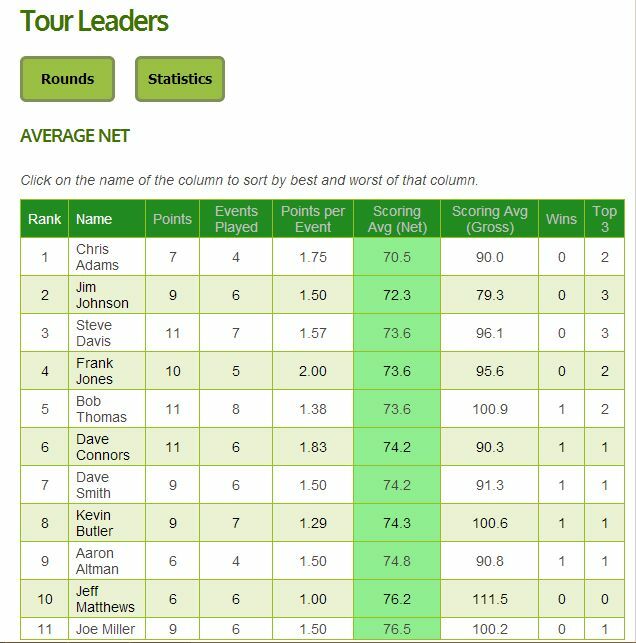 This is not just the standings, but how everyone is doing over the course of the whole season. 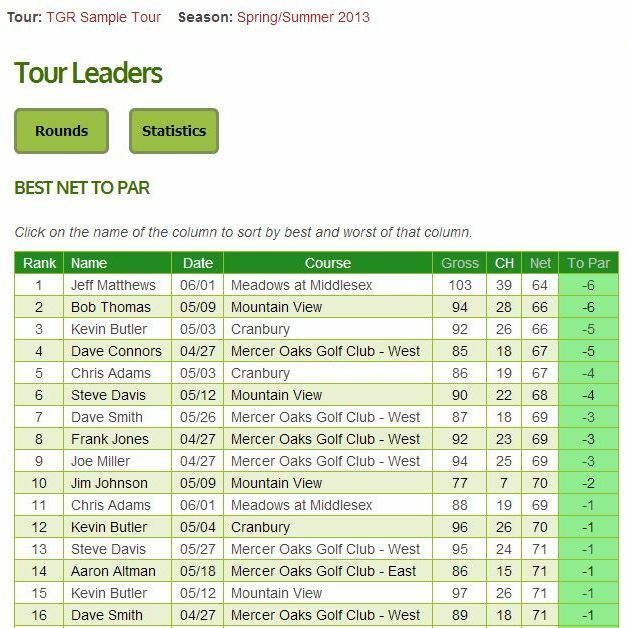 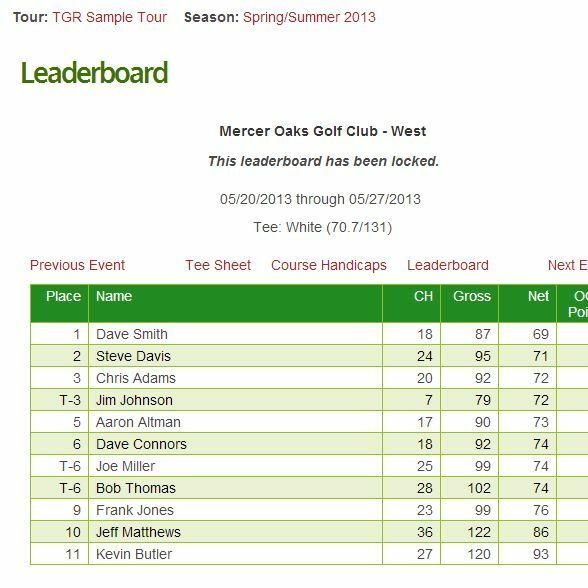 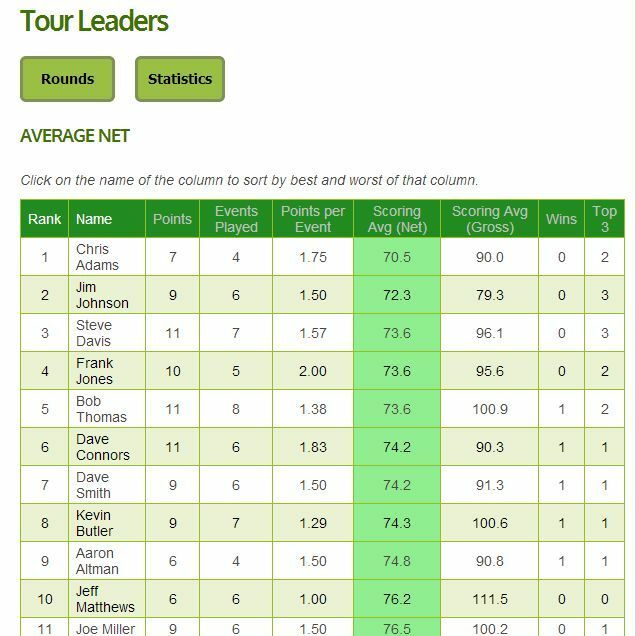 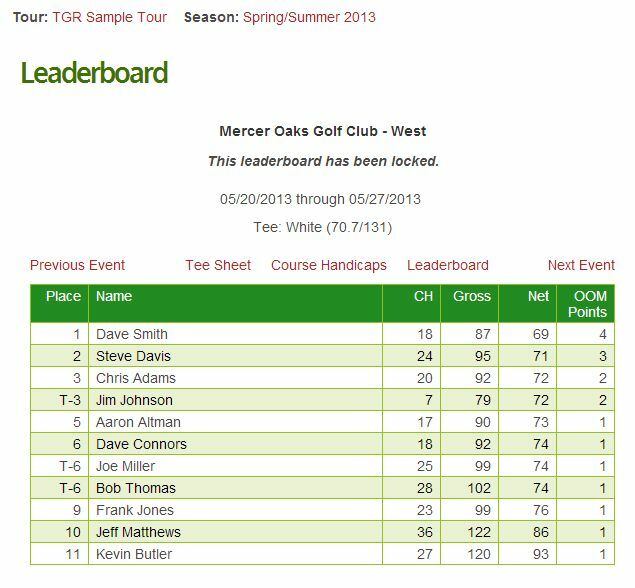 You'll see your season and eventually historical records, like who has had the best rounds net and gross as well as a slew of other statistics from your tour. 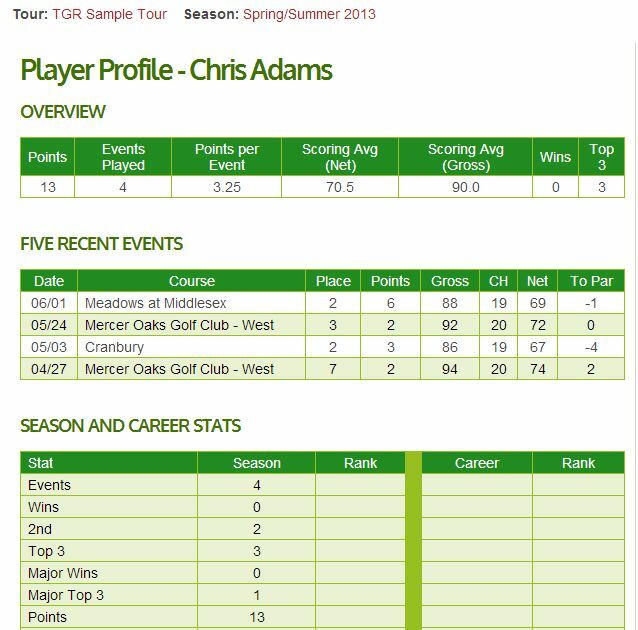 Click on any image to enlarge it or to start a slide show.